By now the reputation of Ubuntu is well known to all, not only users but also to companies and enthusiasts of all kinds azinde. With an announcement almost surprisingly, Mark Shuttleworth has announced that it is available the first version of Business Desktop Ubuntu Remix , a version of Ubuntu where you removed some features, such as music players or games, in favor of components that are a standard part the flow of corporate work. This remix brings the most common changes that Canonical has found through studies of feediback and institutional users, all available on one CD that can be downloaded and installed directly or used as a basis for further customization. 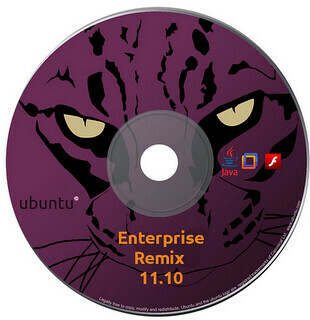 The Ubuntu Business Desktop Remix contains all the software needed to integrate into your IT infrastructure while removing games, social networking and file sharing applications, development and sysadmin tools, and other software that organizations don’t commonly support. This first release includes the Adobe Flash Plugin, VMware View, and the OpenJDK 6 Java run-time environment, while removing social networking and file sharing applications, games and development/sysadmin tools. "This remix takes the most common changes we’ve observed among institutional users and bundles them into one CD which can be installed directly or used as a basis for further customization. Before anyone gets all worked up and conspiratorial: everything in the remix is available from the standard Software Centre. Packages out, packages in. No secret sauce for customers only; we’re not creating a RHEL, we already have an enterprise-quality release cadence called LTS and we like it just the way it is. This is a convenience for anyone who wants it. Having a common starting point, or booting straight into a business-oriented image makes it easier for institutional users to evaluate Ubuntu Desktop for their specific needs."